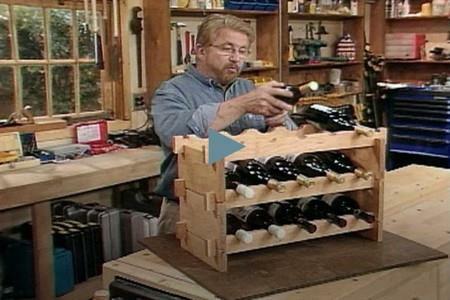 Build a wine rack, large storage wine rack or simple wine storage. 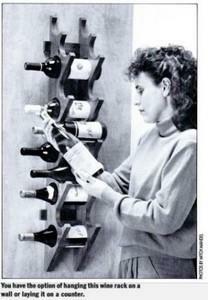 Choose from the many free wine rack plans below. 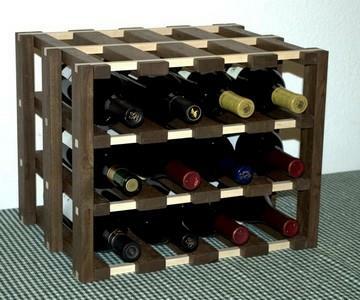 This wine rack plan includes step-by-step instructions along with tips, materials, and tools lists. Here you will find a free plan for a remarkably simple wall-mounted bottle storage rack that attractively displays your collection. Directions to make a walnut and maple criss-cross design wine rack. It's elegant, yet functional. 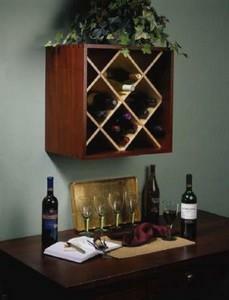 This is a wall-mounted wine rack that will hold a few bottles of wine. This wine case has storage for 24 bottles in a 20in x 20in x 14in deep space.